In order to announce or highlight an event that could be featured in the media, press releases are written. It is an important PR tool, and writing it well can be beneficial for any company wishing to share news or promote itself. Understand what a newsmaker is; determine why a press release should be written. Compose an eye-catching headline. Since media organizations receive many press releases each day, yours should stand out if you want to get it published. They look for stories that would be interesting for their readers. Thus, a headline should briefly and, in an intriguing manner, represent the main idea of your whole message. When composing a headline, consider your target audience; think if your message will be of an interest for the average reader. Write a lead. A lead is usually the first paragraph of a press release and is a short summary of the main body text. A successful lead should answer five basic questions: Who? What? When? Where? Why? Compose the main body. The main body of a press release discloses detailed information about the newsmaker. It consists of 3-5 paragraphs and contains facts, descriptions, dates, and quotations. Write background information. Usually, it contains the main information about your company, such as the date of its founding, brief history, business activities, and achievements. At the end of a press release, the contact information of the person responsible for communication with journalists should be mentioned. In most cases, this is a press secretary or a PR manager. A press release is usually written on the principle of an inverted pyramid. First, you give the main idea in the headline, then you unwrap it in the lead, which is an extract from the whole message. Finally, in the main body, you provide your readers with details, a background, and so on. A catchy headline is a substantial part of the success of your press release. It is better to send your press release to media organizations at the beginning of a week, preferably in the morning. Journalists may have more work at the end of a working day and no time closer to the end of a week to write news about your press release, and your information will probably not be so current after the weekend. 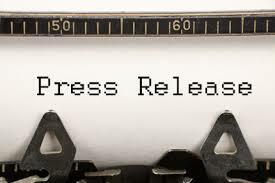 A press release is a document that represents your company and it may be read not only by journalists, but also by your clients and competitors. Therefore, a neat, clear piece of writing free from grammatical mistakes will contribute to creating the positive image of your company. Whatever the field of a company’s activity, a press release must be written in an informative style. Do read articles from well-known newspapers, such as The New York Times, USA Today>, or The Guardian. This will help you understand the style that is used for this kind of writing. Do place keywords in your press release and use them in your headline. Do include pictures, videos, and hyperlinks in your press release if you send it to online media publications. Do ask yourself several important questions before starting to write a press release. Who am I writing for? What is it about? Is the information presented in it unique? What is the goal of this message? How do I convince the publisher that this information will be interesting for its wide range of readers? Do specify the theme of the letter containing your press release if you send it via email. Otherwise, your press release most likely will never be read, not to mention published. Don’t use personal pronouns, such as we, us, I, including phrases like our company; perhaps, the only exception is a quotation. Don’t overuse such words as unique, marvelous, breakthrough, and so on. Don’t hope a journalist with the media organization where you send your press release will make it more interesting and readable; don’t distribute raw materials. Always send only proofread, full, and final versions of your press releases. Don’t write a huge press release. The shorter and the more informative, the better. Get rid of unimportant details and concentrate only on the message you need to transmit. However, don’t make your press release too dull either. 1–1.5 pages is the preferable size. Don’t send your whole press release as an attached file if you send it via email. You can attach pictures, but the press release itself should be in the body of your letter. – Ignoring the structure of a press release and writing it in a frivolous manner; distributing an inaccurate, raw piece of writing. – Confusing a press release with an advertisement. The main goal of a press release is to give information about a certain event in a way that is interesting, both to a journalist and to a reader, and not to persuade them to buy a certain product. – Using personal pronouns and various exaggerations. – Composing long headings saturated with details. – Using too many capital letters, as well as bold and italic fonts and exclamation marks. Now that you have acquainted yourself with the basic press release writing tips and rules, you can check out our press release samples to link theory with practice.